Training is one of the most important parts of our business. We work to the highest professional standards, working to best practice and indeed have led in the development of best practice. Edwards Harthave played a major role in the development of European and British Standards which includes in taking the lead in the development of BS 7913: 2013: Guide to the Conservation of Historic Buildings. We have also contributed to the development of National Occupational Standards for the UK Government in respect of sustainability, energy efficiency and building conservation. We have worked with professional institutions and sector skills councils in the development of standards and in the development of courses and learning material. Some of our team have also contributed to learning strategies at both professional and craft levels: John Edwards is a former member of the Chartered Institute of Buildings Education, Qualifications and Practice Board, a former board member of the National Heritage Training Group and a former Chair of the Traditional Building Skills Bursary Scheme management board, as well as a former adviser to Welsh Ministers on training in sustainability and traditional skills. Edwards Hart is ideally placed to develop and design training to professional standards based on best practice. We have developed and delivered training for a range of organisations which includes the Federation of Master Builders, the National Trust, Chartered Institute of Building, Historic Environment Scotland, Construction Industry Training Board, Constructing Excellence Wales and local authorities such as Gloucester City Council. We have also developed and delivered training for a range of organisations such as the Environment Study Centre, RICS Training, Construction Study Centre and the CIOB Academy. We aim to pass on our knowledge and expertise with a range of courses. In addition to the training and training development services we provide to the Construction Industry Training Board, universities, colleges, our private clients and others, we have developed a programme of courses that can be delivered at your venue, tailored to your specific needs. Please contact us for more information. 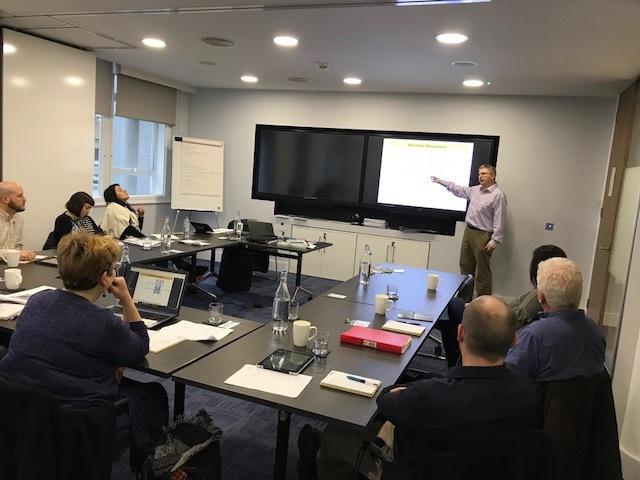 Building Conservation – a two-day course developed at Level 3 Award standard for the CIOB Academy and is based on ICOMOS (International Council for Monuments and Sites) training and education guidelines. Workshop on BS 7913: 2013: Guide to the Conservation of Historic Buildings. We can deliver any of these and other courses in-house and please contact us for more information.